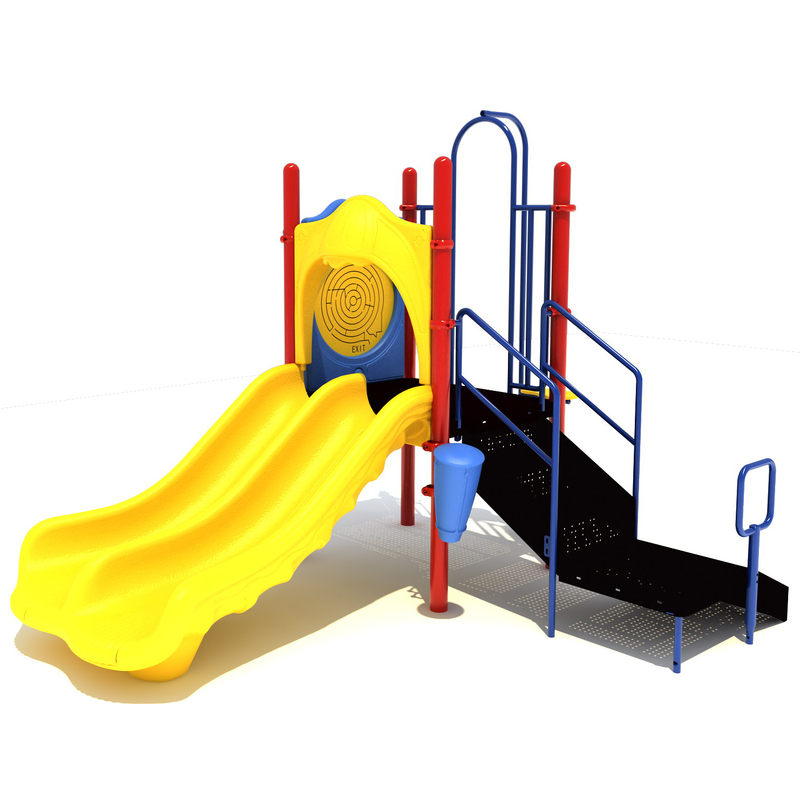 The smaller size allows the unit to also fit into any larger playground, creating a specific space for children ages 2 to 12 years old. A transfer station makes this an ADA compliant unit. 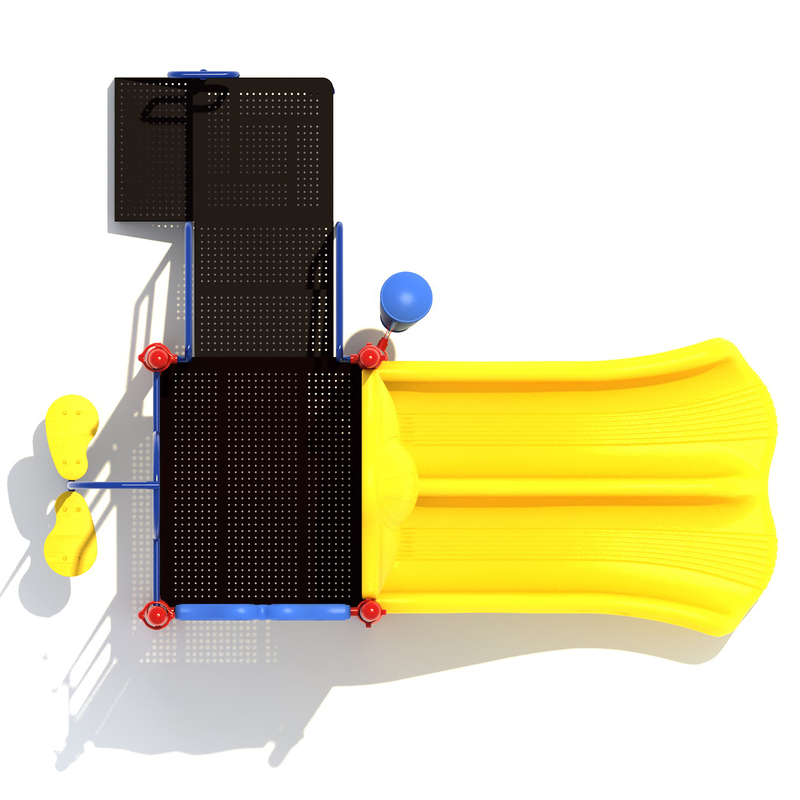 Double bongos and a single drum are post-mounted at ground level for kids to enjoy playing tunes. 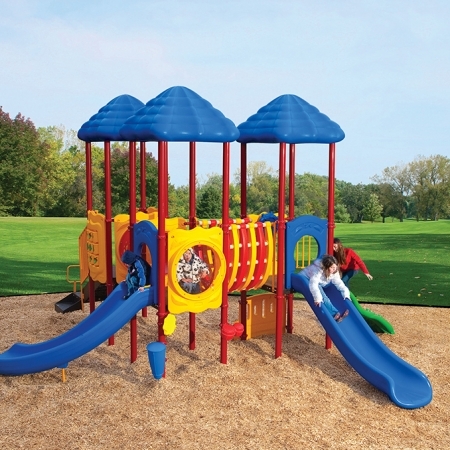 The Arlington play structure is the perfect size unit for small spaces, child care centers, and preschools. 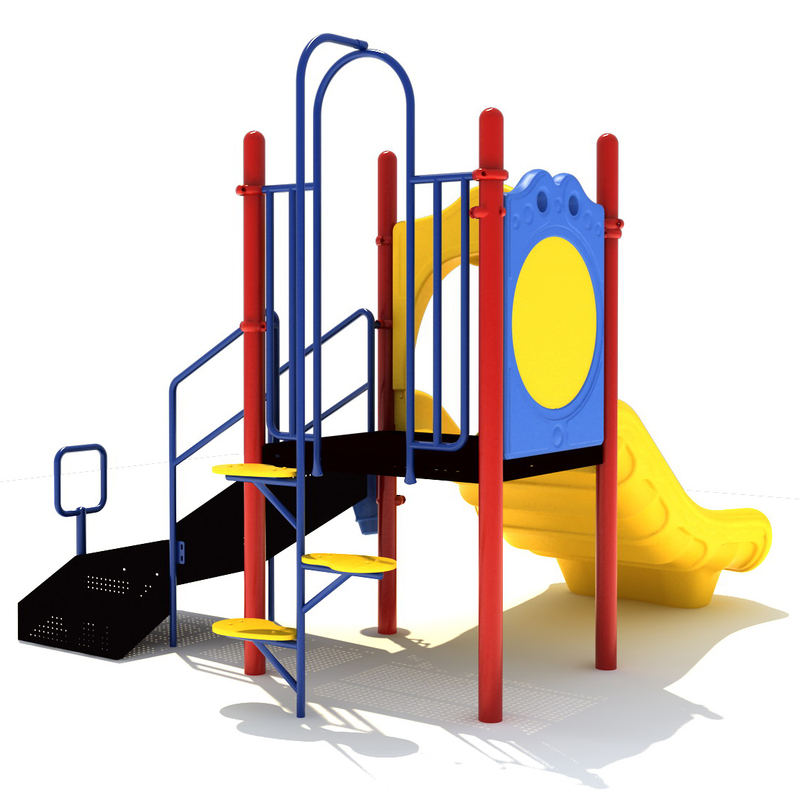 The smaller size allows the unit to also fit into any larger playground, creating a specific space for children ages 2 to 12 years old. A transfer station makes this an ADA compliant unit. 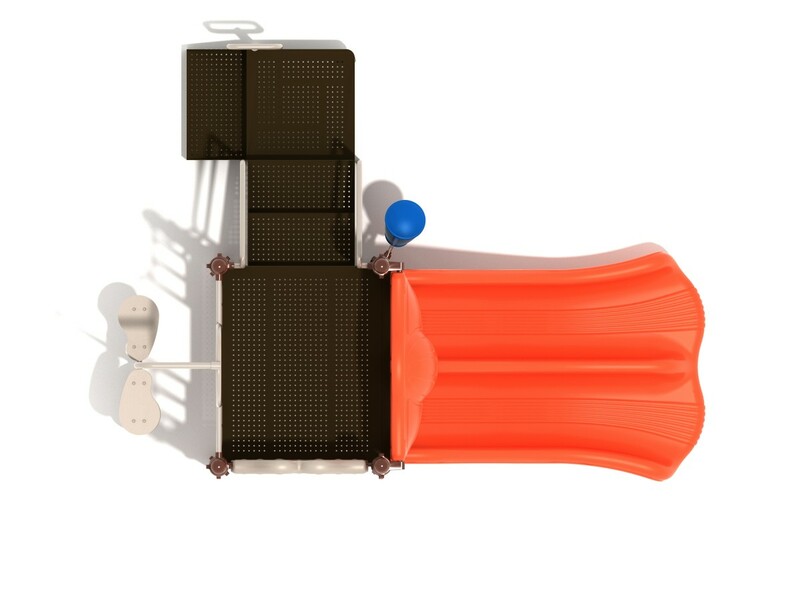 Double bongos and a single drum are post-mounted at ground level for kids to enjoy playing tunes. 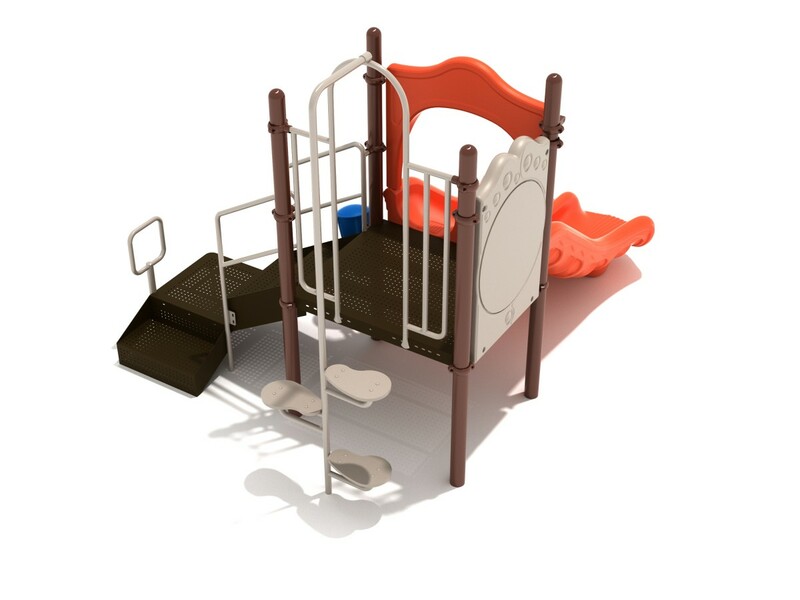 A bean pod climber provides a challenge for children as they work their growing bodies to climb up the unit. Once on the main deck, a barrier wall prevents children from falling. A ship’s wheel on the barrier wall adds a little something extra for the imagination. 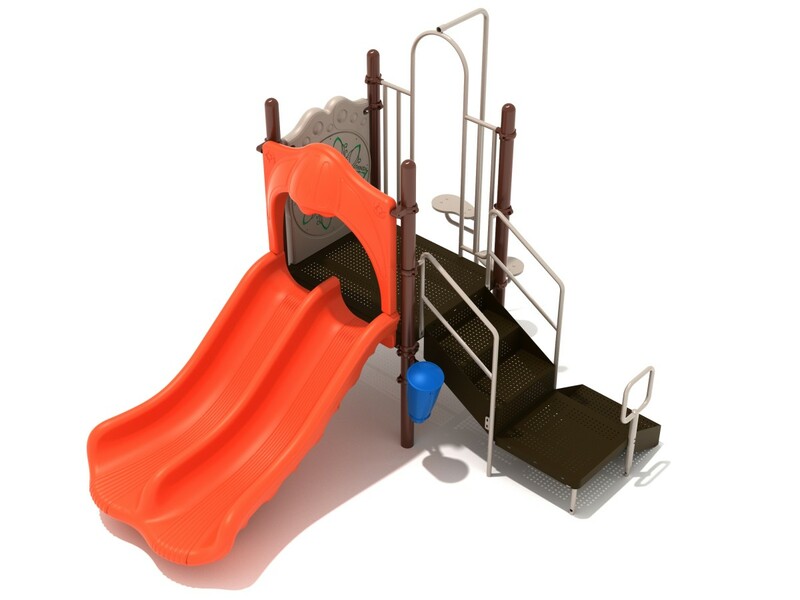 A double slide leads children gently back to the ground. 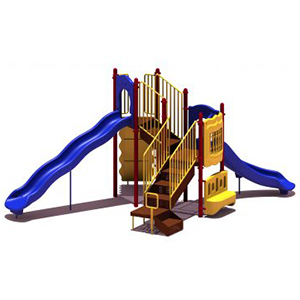 The Arlington play structure is a great choice for any playground. 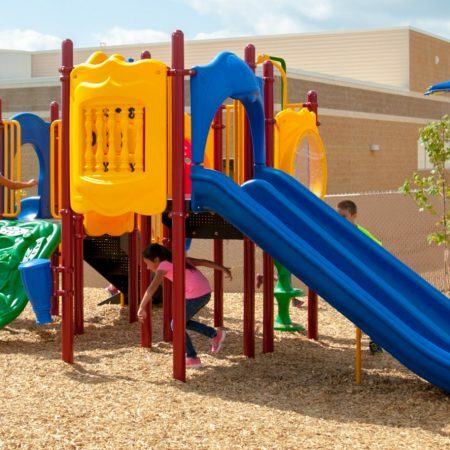 Don’t forget safety surfacing! 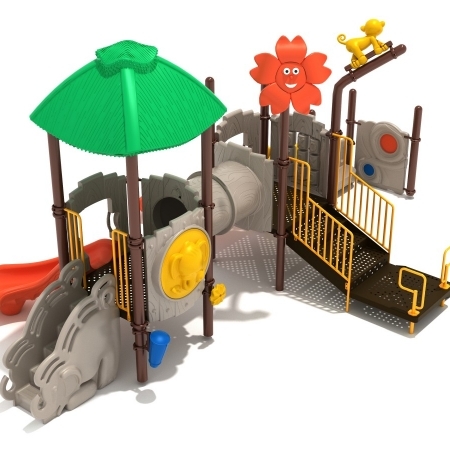 Choose from loose-fill surfaces or a poured rubber surface for a safe play environment.